The defending champions are the favorites, but the Warriors' biggest rival doesn't trail far behind. ​If nothing else, the incessant preseason banter between the Warriors and Clippers is a reminder that the Pacific Division should still be viewed as a two-team race. Yes, the defending champs are solid favorites to claim the division, but last season’s 11-game runaway probably won’t repeat itself. This rivalry continues to be the league’s best, and not just because of its endless drip of skirmishes and zingers. The Warriors and Clippers had the league’s top two offenses and two best point guards, MVP Stephen Curry and Chris Paul, last season. Draymond Green versus Blake Griffin is about as intriguing as a positional matchup can get. Andrew Bogut and DeAndre Jordan are both reigning All-Defensive selections in the middle. Former All-Stars Andre Iguodala and Paul Pierce should thrive in complementary roles as they look to add to their legacies. Steve Kerr and Doc Rivers go about their business in different ways, but both have championships under their belts and both are creative thinkers when it comes to getting the most of their cornerstone players. Most importantly, these two teams bring back virtually their entire casts: Golden State’s biggest loss is David Lee, L.A.’s is Matt Barnes, and yet both teams immediately fashioned plans to compensate for those departures. The combination of talent, depth and continuity sets the Warriors and Clippers apart from the rest of the division. As those two cruise along, the forgettable Suns keep playing the slot machines hoping to find a winning core group, the aspirational Kings do their best to hold things together around DeMarcus Cousins, and the rebuilding Lakers ever so slowly begin to distance themselves from their Kobe Bryant-centric approach to life. Outlook: Golden State’s road to back-to-back titles doesn’t feature any roster turnover-related potholes. In fact, the Warriors will return their top nine players by minutes played last season, including all five starters and key sixth man Andre Iguodala. Matching some of the ridiculous feats last year’s team assembled won’t be easy, but Stephen Curry, Klay Thompson, Draymond Green and company will have every opportunity to recapture the magic. Perhaps the biggest question mark entering the season concerns coach Steve Kerr, who took an indefinite leave of absence during the preseason following two offseason back surgeries. Kerr’s culture-building was a crucial aspect to Golden State’s hot start last season, and the Warriors are surely anxious to get him back on the sideline. One other looming issue is Harrison Barnes’s contract situation—he’s eligible for a rookie extension this fall—but that could be settled by the time the games start to mean something. If not, the small forward will have every motivation to turn in a career year prior to restricted free agency next summer. In place of David Lee, who was dumped to the Celtics in a luxury tax-saving trade, Golden State adds Jason Thompson, a competent all-around big man capable of handling time as a power forward or undersized five. The rest of a balanced and deep rotation that smoked through the 2015 playoffs remains intact. While Andrew Bogut lost a significant amount of weight, in hopes of maximizing his mobility, the rest of the pieces look the same. Even as Golden State’s title run was unfolding, it was clear that their timing couldn’t have been any better. Although they caught plenty of breaks—no Kevin Durant, No Kyrie Irving and Kevin Love, no Spurs or Clippers—they also made the most of their fortuitous circumstances through unselfish play and savvy adjustments. The road this year will undoubtedly be trickier: the Thunder, Spurs, Clippers and Rockets are all better on paper, and it’s hard to imagine the Cavaliers will have worse injury luck than they did last season. The Warriors are as likely as any of those teams to win the title, but it’s not nitpicking or downplaying their 2014-15 run to say that they will be tested in new ways in 2015-16. It goes without saying that no impartial observer will complain if the NBA’s most watchable team finds a way to rip off another delightful jaunt to the Finals. Best case: The Warriors win their second straight title, settling every score and silencing every critic by beating the Clippers, Thunder, Spurs and Cavaliers in the postseason. Worst case: Last year’s perfect chemistry and exceptional health prove fleeting, and the 2016 Warriors go down like the 2015 Spurs, losing a tough first-round series in seven games. Opening night can’t get here quickly enough for the Clippers, who were roundly mocked for their 2015 postseason collapse and then rightfully ridiculed for the unprecedented free agency drama surrounding DeAndre Jordan. No team wants to start making new headlines as badly as these guys. The most important pieces in L.A.’s No. 1 ranked offense last season—Chris Paul, Blake Griffin, Jordan and J.J. Redick—are all back. That potent quartet can stack points against just about anybody, but the Clippers’ championship hopes may wind up resting on who emerges as the fifth wheel to replace the traded Matt Barnes. Although Wesley Johnson, Lance Stephenson, and Paul Pierce will all likely get a chance to fill the void at one time or another, none fits perfectly as a floor-spacing, wing-hounding two-way guy. ​Rivers’s bench is full of potentially combustible elements: Austin Rivers, Jamal Crawford, Stephenson, Pierce and Josh Smith will all want touches and shots, and there just aren’t enough of either to go around. It’s fair to say that the Clippers have more lineup questions and issues to sort through early in the season than any of the other prospective contenders. The Clippers have been an easy punchline, but Rivers can point to the team’s Game 7 win over the Spurs in the first round as proof that his team can compete with the best of the best. The bench was last year’s biggest weakness, and that’s been improved. Paul and Griffin remain among the best one-two combinations in the NBA, and they, like Jordan and Redick, are in their primes. In fact, Pierce and Crawford are the only key members of the rotation facing the prospect of serious age-related decline, and Rivers should be in position to manage their workloads during the regular season. Since Paul’s arrival in 2011, L.A. has churned out four straight seasons of quality ball. This year will make five, barring some totally unforeseen series of events. That said, “Quality ball” isn’t a high enough standard for this group given their recent stumbling and bumbling. The pressure is on—turned all the way up, really—and a deep postseason run is the only acceptable outcome. Best case: Doc Rivers leads the Clippers on the ultimate redemption tour, as his improved bench helps his star trio shock the world by finally getting over their Western Conference finals hump on the way to the franchise’s first title. Worst case: Second-unit chemistry concerns and a hole at the starting small forward spot combine to send the Clippers home in round one. Rivers blows up his core next summer. It’s hard to get too excited about a team that can’t decide whether it’s coming or going. Phoenix’s four best players include two young guards who expect to have the ball in their hands (Eric Bledsoe and Brandon Knight), a somewhat young power forward who was enraged that his twin brother was traded (Markieff Morris), and an aging center who just cashed in on the final big-dollar deal of his career (Tyson Chandler). As of now, that core lacks a bona fide star (although Bledsoe might evolve into one this season), it lacks the ability to win big now, and it lacks the potential to win big a few years down the road. In other words, Phoenix has still yet to settle on a lasting identity, even after executing trade after trade in recent years. Meanwhile, Jeff Hornacek, the team’s quality head coach, is entering the final guaranteed year of his contract. There are more stable situations around the league, to be sure. Hornacek will aim to recast the Suns as a defense-first team that thrives on pressure and physicality on the wings and utilizes Chandler as a dependable rim-protector. Although the core pieces mentioned above don’t fit together perfectly, they do have the potential to carry a top-10 defense if their health holds up better than it has in recent years. Phoenix’s starters will need to do a lot of heavy lifting, as the bench features a ton of new faces and a number of inexperienced youngsters. Gone are the days of “too many guards.” Now, Hornacek will be hard-pressed to find consistent production from his backcourt reserves. Phoenix hasn’t made the playoffs since 2010 and it has spent a majority of the last five years hovering around .500. A similar fate likely awaits this season. The good news: tough summers for the Blazers and Mavericks combined with injury issues for the Pelicans and Jazz may help the Suns’ cause by lowering the bar for the West’s final playoff spot. After such a long postseason drought, a trip to the 2016 playoffs would be a clear victory for a franchise that has dealt with significant uncertainty in the post-Steve Nash era. At the same time, Phoenix would be headed for a quick exit, as the West’s best have no time for middling teams with serious continuity issues and so-so talent. Best case: Eric Bledsoe blossoms into an All-Star and Tyson Chandler’s arrival immediately fosters a defense-first climate. That combination boosts the Suns past the Pelicans, Jazz and Kings and into the West’s No. 7 seed. Worst case: After failing to generate meaningful early-season momentum, the Suns tinker with their core pieces at the deadline, prolonging the nonstop cycling of roster pieces. They land in the lottery yet again. There are many teams that are hard to forecast, but none quite like the Kings, who seemingly spent the summer spending money to complicate an already complicated picture. Although it cost him significant long-term assets, new GM Vlade Divac has added four important newcomers to the table: veteran center Kosta Koufos, rookie big man Willie Cauley-Stein, shooting guard Marco Belinelli and embattled point guard Rajon Rondo. Of the four, Belinelli most clearly addresses preexisting needs. A strong shooter and microwave-style scorer, Belinelli adds experience and a little electricity on the wing. Koufos, too, was a fine addition, as he gives coach George Karl another proven body alongside All-Star center DeMarcus Cousins. 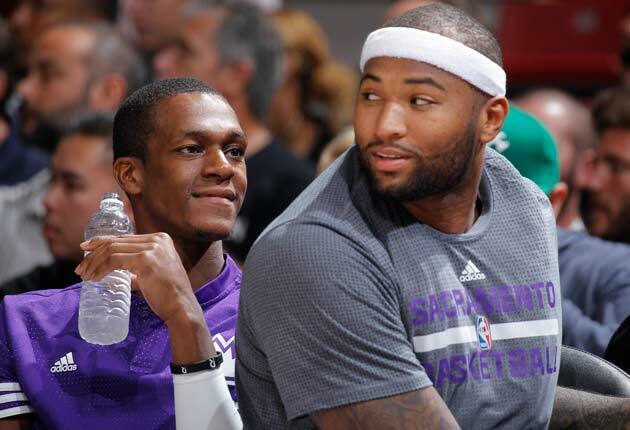 ​​During the preseason, Karl often deployed Cousins as a stretch four, leaving the paint to Kofous. The hope, apparently, is that Cousins is able to utilize his skills and athleticism to exploit matchups from the perimeter. Whether that approach is preferable to simply using Cousins as a low-post monster and surrounding him with floor-spacers, at the expense of Koufos, remains to be seen. Cauley-Stein, meanwhile, brings a high motor and good defensive versatility, but he may need to fight for his role as the least experienced member of Karl’s frontcourt rotation. Rondo is the roster’s biggest question mark. His flameout in Dallas crushed his value in free agency, and his domineering style and lack of shooting makes him a questionable fit for many teams, but particularly one that hopes to start two seven-footers. Darren Collison, last year’s starting point guard, is ready to step in should Rondo falter, but history suggests that fireworks will result if Karl attempts to diminish Rondo’s role. That’s just one more coach/player relationship to keep an eye on after Karl and Cousins were seemingly at odds during the summer. Even with these questions, Sacramento should enjoy its best season in years (yes, that’s not saying a lot for a team that hasn’t cracked 30 wins since 2007-08). Cousins is a rare talent, Rudy Gay has worked out fairly well since arriving in December 2013, and Karl can field some nice spacing lineups if he ditches his burliest lineups for smaller looks that feature Cousins, Gay, Belinelli, Ben McLemore and Collison. It’s important to remember that Karl has a long-standing track record of winning even if he often rubs his players the wrong way. Given the off-season expenditures and owner Vivek Ranadive’s desire to be competitive, Karl will chase wins at all costs. That approach could put Sacramento on the outskirts of the playoff bubble and above Phoenix in the division, if things break right. Even if the mess does hit the fan, though, it’s hard to envision any team with Cousins and Gay finishing behind the Lakers in the standings. Best case: DeMarcus Cousins cuts through the noise to establish himself as the undisputed best big man in the NBA, leading the Kings to their first .500 record since 2005-06. Worst case: The Rajon Rondo experiment winds up being a very public flop, leading to unnecessary distractions and negative attention. The Kings’ season is swallowed up before they can claim 30 wins and Ranadive starts sharpening his knives again. The biggest problem facing the Lakers for the second half of the 2014-15 season: there wasn’t much reason for anyone to watch. A prestigious franchise was utterly irrelevant. Kobe Bryant was injured again. Julius Randle was rehabilitating after suffering a leg injury in the season opener. Nick Young was more entertaining in his post-game interviews than on the court. Outside of Jordan Clarkson’s strong finish, the good vibes were few and far between. To no one’s great surprise, last year’s Lakers scattered across the country as soon as free agency hit. ​L.A. is still a long way from being where it wants to be, or to where it’s used to being, but it’s no longer mired in irrelevance. The credit for that shifting narrative belongs to D’Angelo Russell and Randle, who represent the Lakers’ next era, whether the franchise is ready or not. Russell, the second overall pick in 2015, projects as an eye-catching distributor with enough shooting ability to attract defensive attention. Randle is a physical power forward who isn’t afraid to bring the ball up in transition or put his head down to draw contact around the basket area. Both players face questions when it comes to their defensive abilities and both may struggle with inefficiency this season. Even so, they should join with Clarkson to help Lakers fans dream about what’s to come rather than dwelling on the many failures of the recent past. Bryant, of course, still looms as a major storyline. Coach Byron Scott has indicated that Bryant’s role will be reduced this season in hopes of preserving him, and a preseason leg injury amounted to an ominous start. The priority last season was Kobe-ball, ensuring the Lakers’ great passed Michael Jordan on the all-time scoring list and force-feeding his fans with as many nostalgic moments as possible. Scott must shift away from that approach this year, ensuring that Russell and Randle have every opportunity to develop in full. The Lakers will also welcome trade acquisition Roy Hibbert to the party in hopes of improving the league’s No. 29 defense last year. The much-maligned Hibbert struggles with his consistency and offensive game, but he should welcome the chance to cover up his teammates’ many defensive mistakes considering the fact that he’s in a contract year. L.A.’s other notable newcomers—Lou Williams and Brandon Bass—are fine players but may wind up as trade pieces down the road. As sad as it sounds, the most important moment of L.A.’s season will again come at the draft lottery. The Lakers must convey their pick to the Sixers if it falls outside the top three. It’s certainly possible that a team as lacking and as young as the Lakers could finish with one of the league’s three worst records, but that still wouldn’t guarantee that they keep their pick (teams can always jump them). Last year, L.A. jumped up to No. 2 to nab Russell. Will Lady Luck strike again? Best case: D’Angelo Russell and Julius Randle both prove to be plus contributors right off the bat, delivering hope and excitement to the frustrated masses. L.A. manages to keep its 2016 first-round pick and the rebuild receives another major jolt of positivity. Worst case: Byron Scott exerts too much influence, overemphasizing Kobe Bryant and other veterans at the expense of the youth movement. The Lakers wind up being as bad as everyone feared and less entertaining than everyone hoped. L.A.’s pick conveys to Philadelphia as Jim Buss and Byron Scott both fear for their jobs. A breakout from Bledsoe, 25, would actually be the second of his career. After spending his first three years backing up Chris Paul on the Clippers, Bledsoe’s 2013 arrival in Phoenix saw his stats spike as he shifted into a full-time starting role. Still, there’s even more unscratched potential here, as a knee injury and a crowded backcourt full of ball-dominators kept Bledsoe from fully blossoming over the last two seasons. Now that Goran Dragic and Isaiah Thomas are gone (replaced by Brandon Knight), the Suns are ostensibly configured around Bledsoe, who should be the Suns’ clear No. 1 option. The 6’1” Kentucky product is among the league’s most explosive athletes, excelling at on-ball defense, rebounding, and putting pressure on opposing defenses with his downhill attacking style. Last season, Bledsoe averaged 17 points, 5.2 rebounds and 6.1 assists, joining LeBron James, James Harden and Russell Westbrook as the only NBA players to hit all three of those benchmarks. That high-level all-around production makes him a dark horse All-Star candidate if Phoenix can surpass its modest expectations. It’s difficult to overstate how important D’Angelo Russell is to the direction of the Lakers. There are always big expectations for top two picks, but L.A.’s unfamiliar circumstances ratchet up the pressure exponentially. Kobe Bryant needs an heir or heirs. The coach needs a playmaking floor general. The front office badly needs a win after a string of embarrassing personnel moves. The marketing department needs a fresh face. The massive fan base needs someone, anyone to inspire long-term hope. And just about all of the parties mentioned are running out of patience as the franchise looks down the barrel of a third straight lottery trip. The 19-year-old Russell has the potential to eventually fill all of those needs. But asking any rookie, except maybe Magic Johnson, to step right in and fix everything is asking too much. For now, a successful 2015-16 season for Russell would involve navigating the minefield that is playing alongside Bryant, developing a productive rapport with 2014 lottery pick Julius Randle, and showing that he can consistently generate quality looks for his teammates in the halfcourt. If he can hit those goals, L.A. should be in a far better place this time next season. 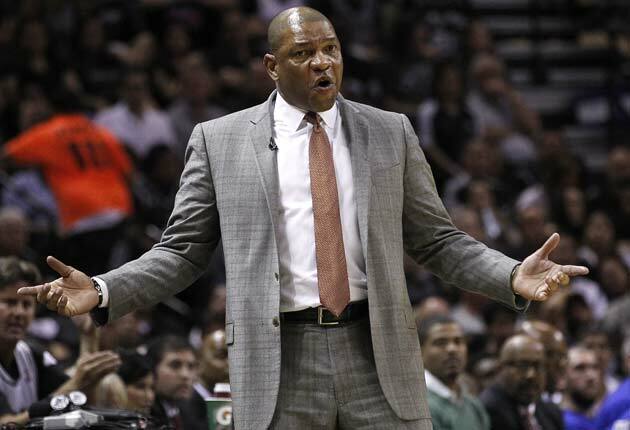 Both Rivers and Karl have a lot to prove, but the stakes are clearly higher for the Clippers, who have harbored unfulfilled championship aspirations for a few years now. As Rivers himself admitted in a Grantland interview, L.A. is “on the borderline” when it comes to drastically altering its course after this season out of a sense that its current core might “get stale.” If Chris Paul, Blake Griffin or DeAndre Jordan winds up playing somewhere else next season, that would be a landscape-shifting change of scenery for the NBA as a whole. Rivers has even more to prove because, as Clippers president, he’s made this team in his likeness. He’s traded for and re-signed his own son Austin, he signed his former Celtics player Paul Pierce, and he stuck his neck out to land wild cards Josh Smith and Lance Stephenson. The sum total, on paper, is a significantly improved bench. The sum total, in practice, might only wind up being a significantly more debilitating migraine headache. That puts Rivers’ roster-building intuition and rotation-managing skills under the microscope: he must prove that he made the correct offseason gambles, and he must prove that he can craft his new-look roster into a championship squad. If anything goes wrong, Rivers is set up for the blame, one way or another. Morris was fined by the NBA last month for making a public trade demand, so there’s really no disputing that he belongs in this conversation. The reasons that he might be traded are the same reasons that made him upset: his beloved twin brother Marcus was abruptly traded to the Pistons over the summer, his relationship with coach Jeff Hornacek produced some tension last season, and his chippy and somewhat aggravating personality has made him a polarizing figure among the local fan base. Oh, yeah, there’s also the matter of those felony assault charges. To no one’s great surprise, Morris has said all the right things so far this fall. Behaving well and keeping the drama to a minimum, after all, is the best way to drum up outside interest in his services. Although there are plenty of red flags to consider, Morris is a capable scorer and intense competitor set to enter the first year of a four-year, $32 million contract. He’s improved steadily through his four NBA seasons and, at 26, there should be room for further growth. If he can deliver on his goal to expand his range early in the season, there should be some risk-takers lining up with offers by the time the trade deadline rolls around. The Clippers will make a move to address their small forward position. Matt Barnes might have been the weakest link in the Clippers’ excellent starting five last season, but that doesn’t mean he’s necessarily easy to replace. Doc Rivers has certainly given himself some options by assembling Lance Stephenson (a physical defender with a broken jumper), Paul Pierce (far better suited as a small ball four off the bench at this stage of his career) and Wesley Johnson (an inconsistent stop gap). The problem? None of those options are particularly great. Ideally, Stephenson would remain in a backup role in the backcourt, Pierce would stick to backing up Blake Griffin and Rivers would be able to engineer a trade or free-agent signing who would represent an upgrade over Johnson. That could prove to be a difficult task, but the bet here is that Rivers works his way through all of his available options in advance of the deadline and concludes that he has no choice but to seek an external solution.